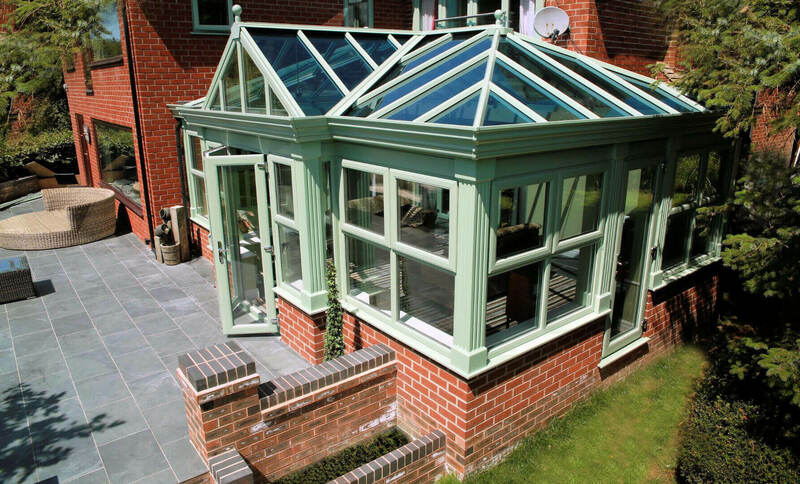 An orangery is similar to a conservatory but it incorporates brickwork and a slightly different overall design, most commonly with the roof. 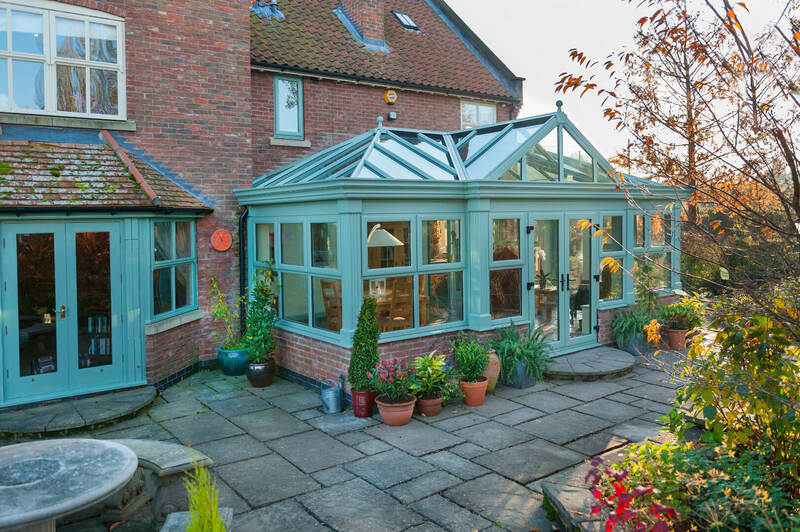 It is essentially a cross between a conservatory and a house extension. 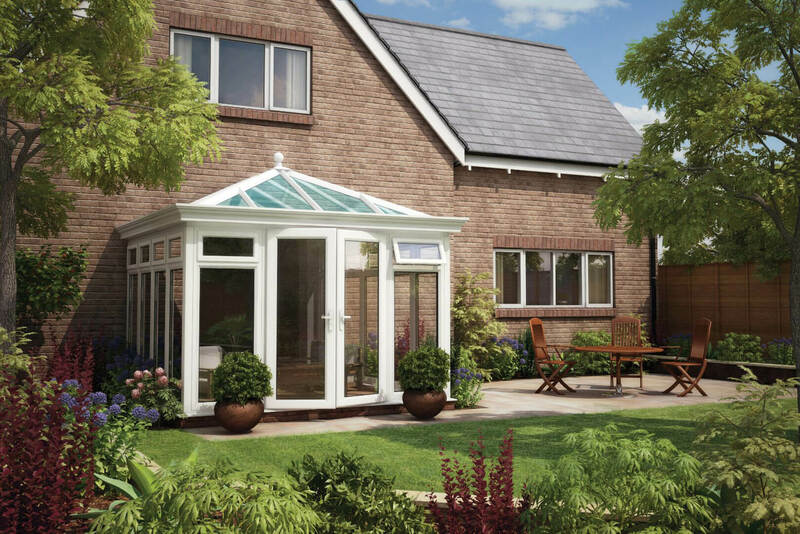 Orangeries offer a more robust build quality than conservatories and often blend into existing homes more harmoniously as the bricks used can be matched to your existing brickwork for a seamless fit. 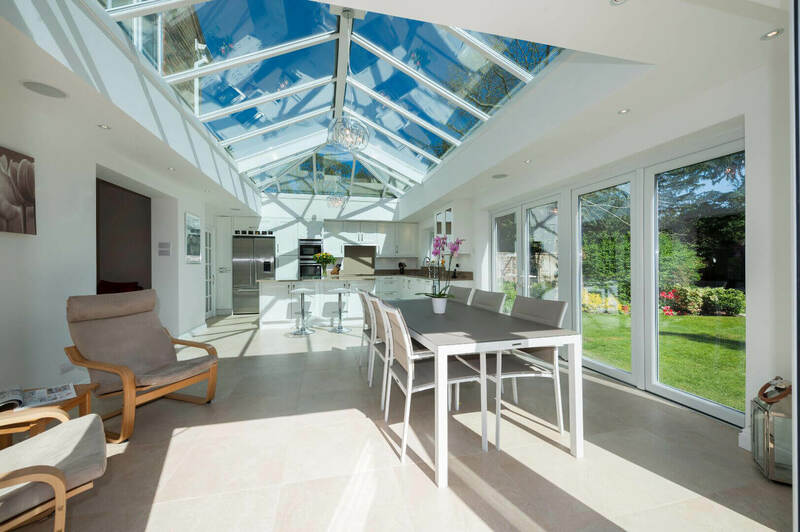 Orangeries feel more integrated and permanent than a conservatory and are the perfect way to extend your living space to include an area to let the sunshine in!